A fun run for all ages and a timed race for the competitive types. You won't want to miss this St Patrick's Tradition! 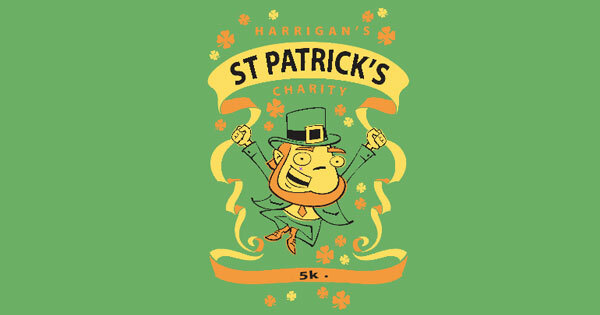 The Harrigan’s St. Patrick’s Day 5K Charity Run is back! Put on your best St. Patty’s Day outfit and join us for some fun! We feature chip-based professional timing by Speedy Feet, technical running shirts for the first 150 runners who sign up, and Up and Running will award one lucky male runner and one lucky female runner each a pair of new running shoes. Medals will be awarded for the top three finishers in each category. Proceeds from this event raise needed funds for four local charities including: United Rehabilitation Services of Greater Dayton, South Community Behavioral Healthcare, and the JDRF - Juvenile Diabetes Research Foundation, and Alzheimer's Association of Dayton. Visit harrigans5k.com for more information! Find more events like "Harrigan's St. Patrick's Day 5K Charity Run"
URS Early Childhood Education Programs are currently enrolling for infants and children with and without developmental delays or disabilities.